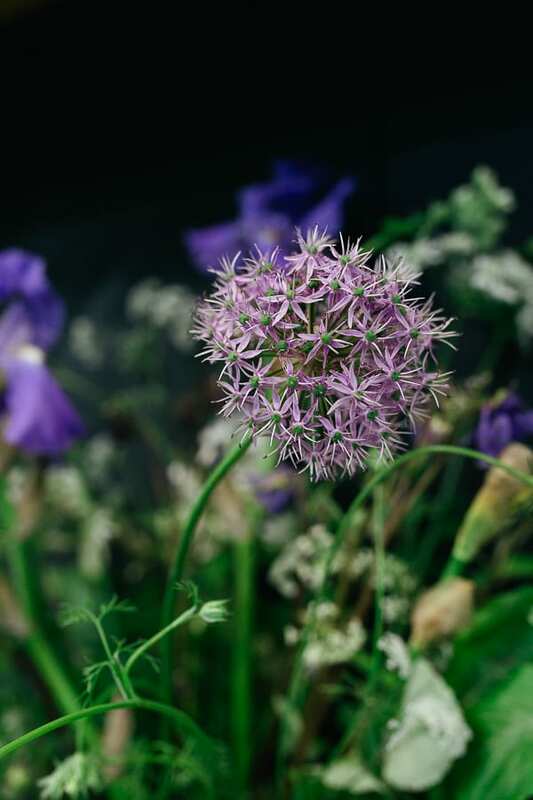 Back in May, I had the pleasure of attending a course by Shane Connolly called ‘Flowers from the Garden & How To Use Them’. 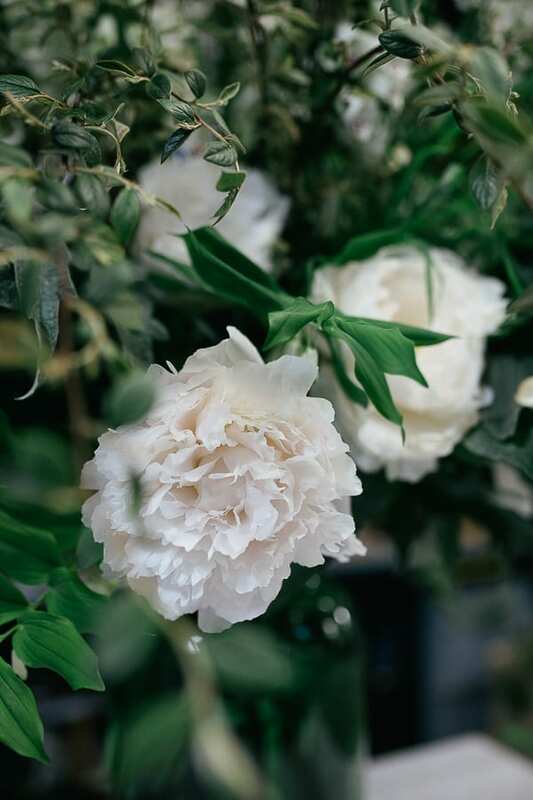 For over twenty five years, Shane has been running his business, creating timeless, artisan floral arrangements and decorations. 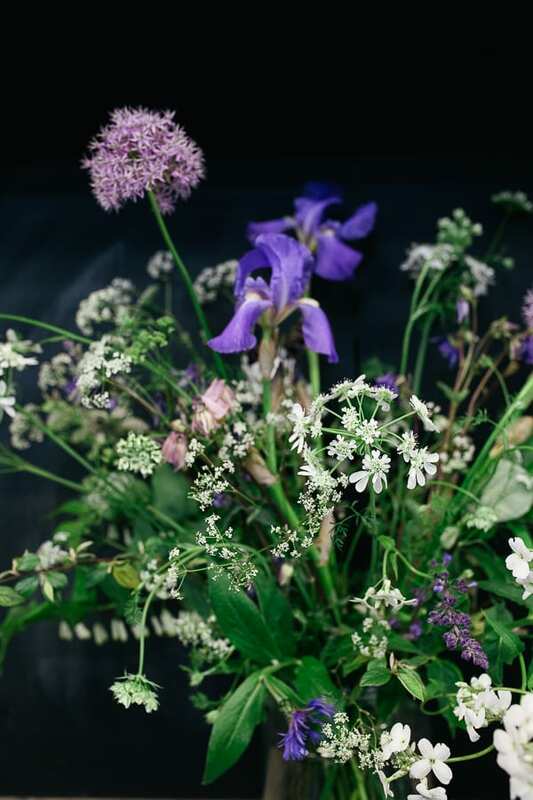 And I love that his signature natural floristry style is so very on trend at the moment. 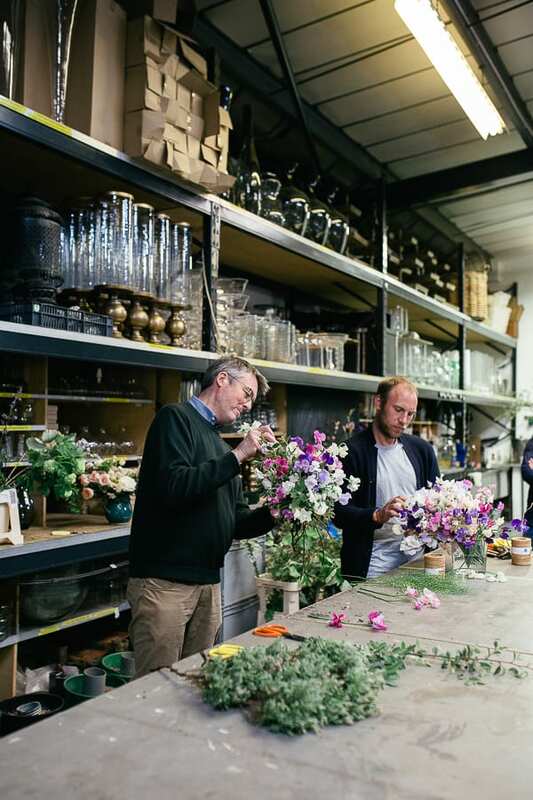 His passion for flowers comes from his mother who often brought flowers in from their garden to enjoy indoors. And now Shane is a huge advocate of bringing the outside in, so that you can appreciate nature. 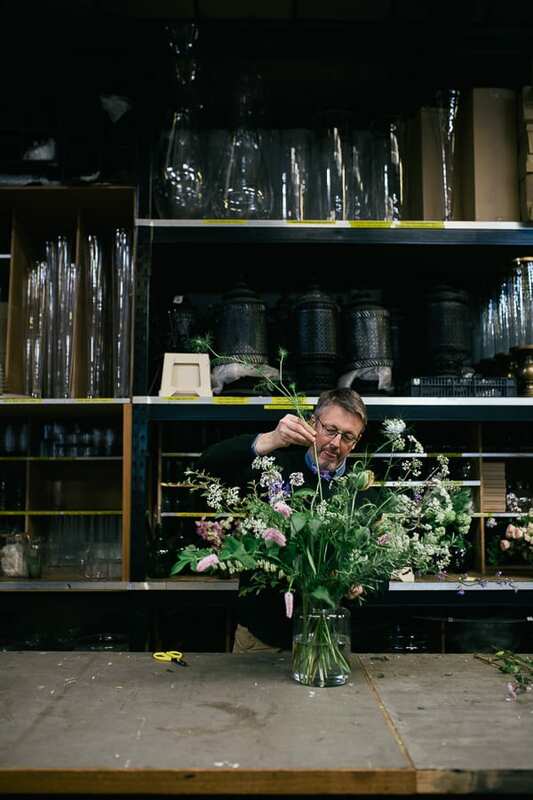 Shane’s London studio is an Aladdin’s cave of vases and props. Everywhere you turn, there’s something beautiful to catch your eye. His advice is to buy containers that suit your personality and home. Plus make sure that you have lots of variety. He shared with us stories about bringing back vases in his suitcase from his travels abroad! 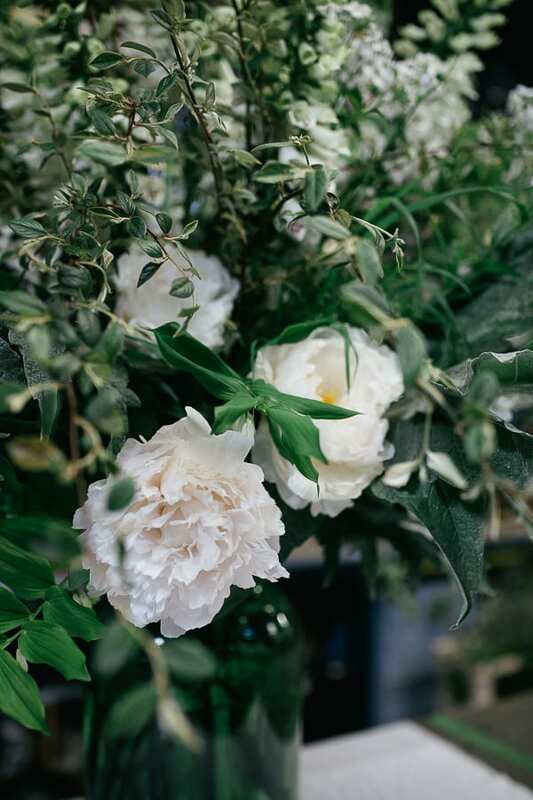 For the many demonstrations which he conducted throughout the day, he chose flowers and foliage that looked like they had come from the garden, some were from a private grower and others from New Covent Garden Flower Market. One of Shane’s signature designs is large, natural urn arrangements. And we had the pleasure of witnessing one being created. Cotoneaster and white leaf formed the framework and they were then joined by cynara and cardoon leaves. Hesperis matronalis, foxgloves and peonies were also added. Shane said that some people when they’re making big arrangements worry that they need to be front facing. But if you try to do this, it can lead to a problem with balance, visual and actual. 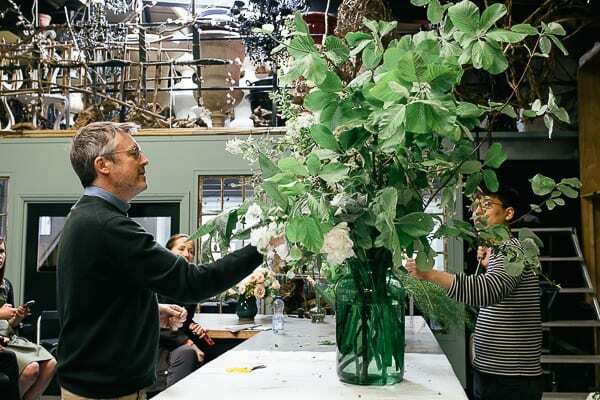 After a delicious two course lunch, Shane firstly demonstrated how to make a hand-tied bunch. 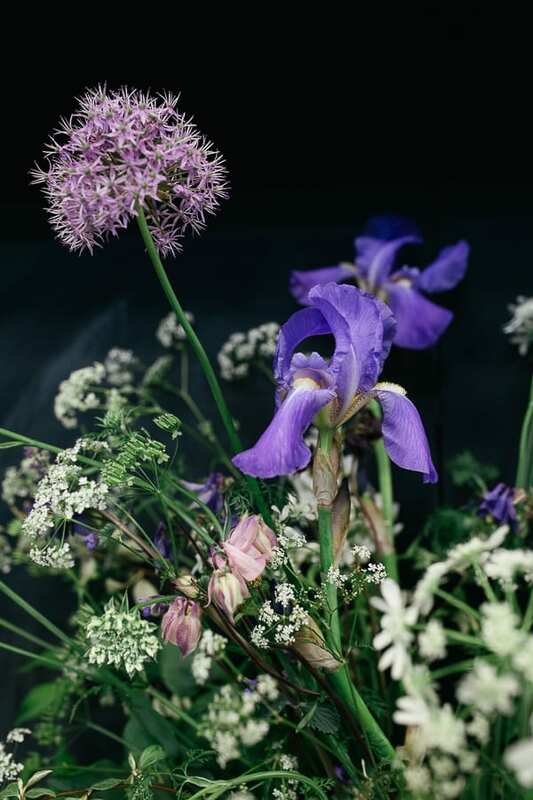 He recommended using your hand like a vase and inserting the foliage, in this case hebe and rosemary. 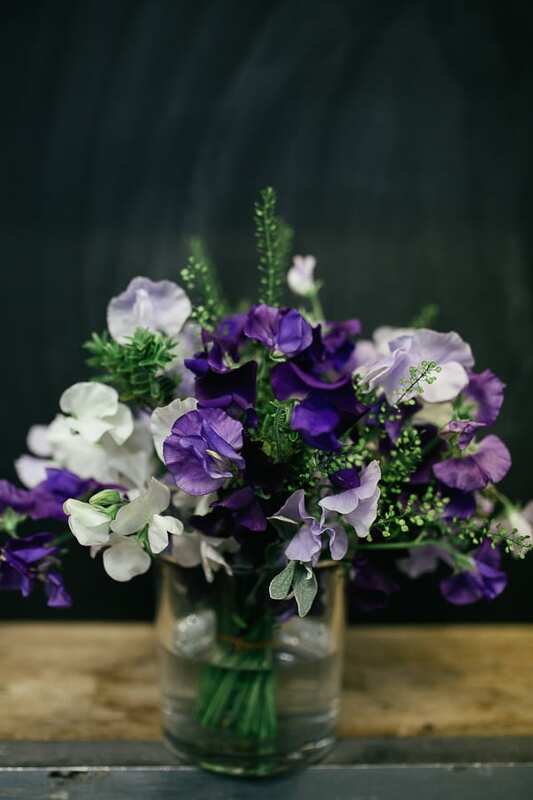 Next he added masses of beautifully fragrant sweet peas. Then it was our turn and here’s my finished bunch. Shane shared lots of hints and tips throughout the day. For example, something which he learnt at Pulbrook & Gould is to never put flowers at the same height. He also doesn’t do symmetry as he says that nature isn’t symmetrical. The last arrangement of the day was a meadow in a vase. Shane discussed the importance of choosing the right container for a design and how it’s best to follow what the individual flowers want to do when you’re placing them in the vase. 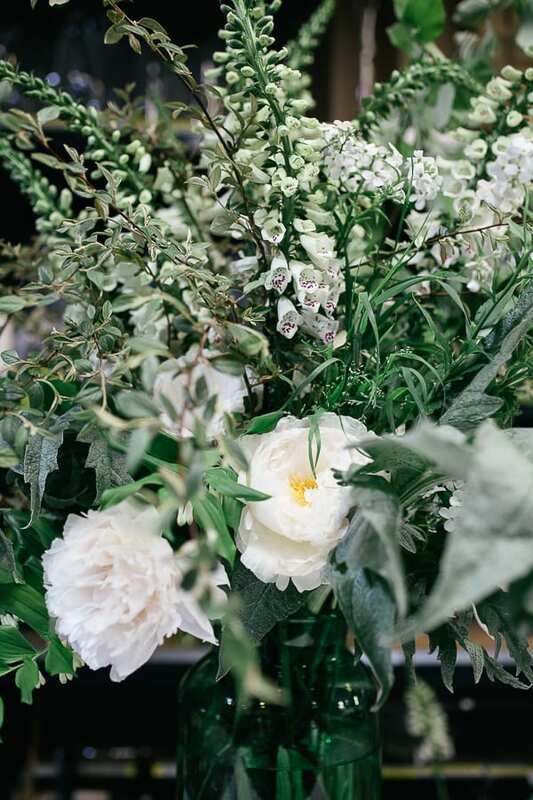 We had such an amazing assortment of flowers and foliage to choose from. Very spoilt for choice! I decided on a predominantly purple and white colour palette and here’s my ‘meadow’. Thank you so much to Shane and his wonderful team for such an enjoyable and inspiring day! If you’d like details of upcoming courses, please send an email to courses@shaneconnolly.co.uk. And to keep up-to-date with Shane’s news and whereabouts, you may like to follow him on Instagram.